Skin will feel nourished and supple the minute you put it on! 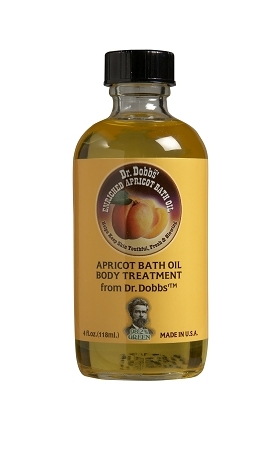 Safe and natural - Dr. Dobbs' helps keep young skin soft and smooth, and restores a youthful glow to mature skin. Luxurious in bath water or applied after the bath ... every time! - 4 oz. glass bottle. What it’s for: Keeping skin supple and soft. An after-bath treatment that restores skin to a youthful and vibrant appearance. So mild it can be used on both babies as well as adults. Helps provide skin with a moisture barrier. Ideal for shaving.